Handmade in the U.S.A., these glass orbs will go beautifully with any decor, in any room! 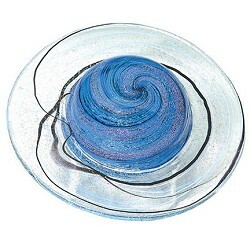 Another unique feature is that all Glass Eye Studio glass contains Mount St. Helens ash. 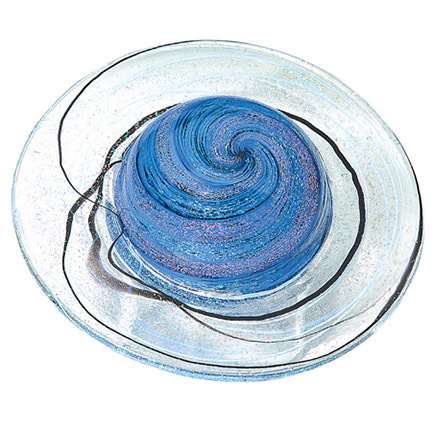 Iridescent rings surround this stunning blue and violet paperweight glittering with dichro. Comes with velvet gift/storage box and special stand for display. Planet Weights are presented in a velvet box with story card, signed and dated. Approximately 3" diameter.